Join psychotherapist Bree Bonchay and host Andrea Schneider as they discuss narcissistic abuse and their tireless efforts to bring awareness and help to survivors of emotional terrorism. Bree Bonchay is a licensed psychotherapist, with two decades of experience working in the field of mental health and trauma recovery. She specializes in helping people recover from toxic relationships, and shares her insights about narcissistic personality disorder and psychopathy in her blog FreeFromToxic. ... See More Her articles have been featured in major online magazines and she has appeared on radio as a guest expert. She is also a dedicated advocate. 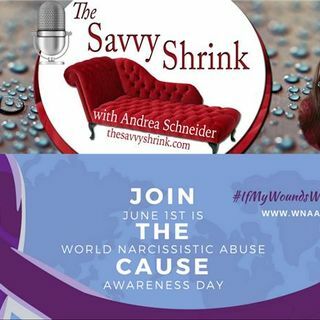 In 2016, She founded World Narcissistic Abuse Awareness Day, (WNAAD), which is celebrated every 1st of June.